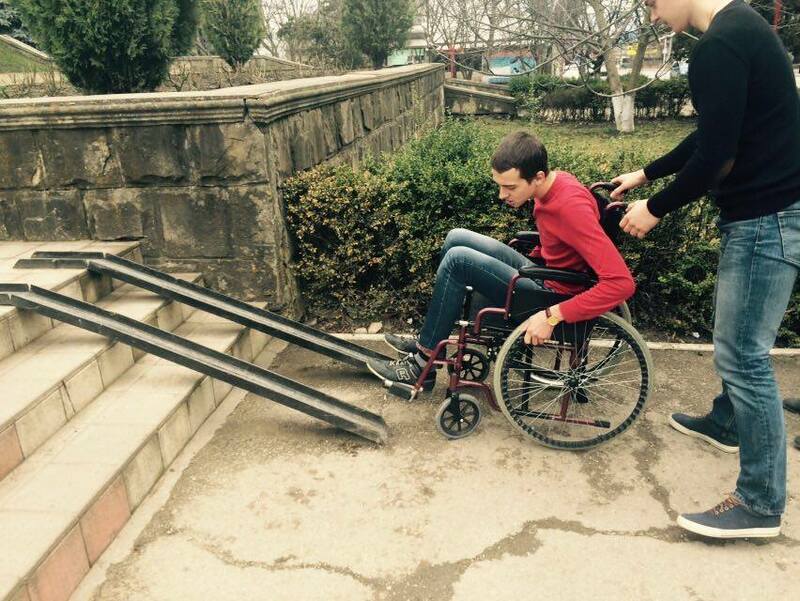 On March 13 and 25 Julia Sorocan ’15 and Cristina Bujag ’15 implemented a disability awareness project ‘Know It. Feel It’ for 28 high school students from Edinet and Chisinau, Moldova. The project consisted of two educational trainings which took place at the Youth Center ‘Salve’ (Edinet) and the Gaudeamus Lyceum (Chisinau) and were led by trainers Marina Guc and Emma Matreniuc. Each training was divided into two parts titled ‘Know It’ and ‘Feel It’ which represented theoretical and practical ways of learning about disability issues. Thus, in the first part the participants attended a seminar covering the topics of disability discrimination and diversity, while in the second part they had a chance to participate in social experiments organised together with students with disabilities. During the activity the participants put themselves in the shoes of a person with a disability and performed a range of tasks independently and then with help from other people. ‘Afterwards they all noted that these exercises have helped them to understand difficulties that a person with a disability faces on a daily basis. This has changed their perspective on many disability issues,’ says Julia. She was inspired to organize this training after attending the EEFAW and learning about human rights issues and disability awareness in particular. 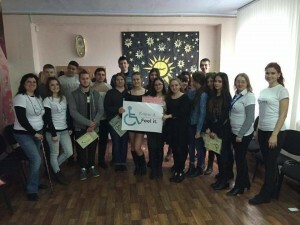 The project partner, an organization for young people with disabilities ‘Vivere’, provided wheelchairs and other supplies for the training.